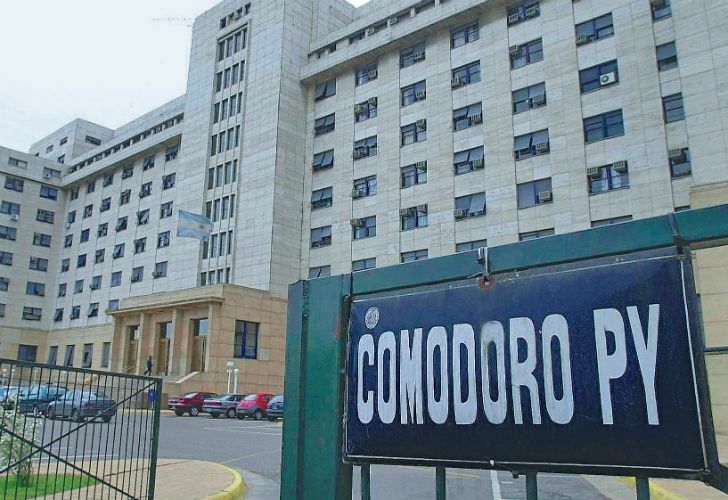 Over the past 18 months, a number of high-profile officials from Kirchnerite administrations have found themselves passing through the doors of the Comodoro Py federal courthouse. Warrants and arrest orders now being issued by the dozens, often on cases that have laid dormant for years. But why is the Judiciary only picking up the pace now? Why has it taken so long? And what does this say about Argentina’s justice system? The Comodoro Py federal courthouse, near the port area of Buenos Aires. Foto:Cedoc. The picture of a nine-storey building sums it all up. The federal courthouse, located on Comodoro Py Avenue near the port area of Buenos Aires, is for many the symbol of impunity and shady dealings. Over the last year and a half, a number of high-profile officials from the Kirchnerite administrations that ruled the country for 12 years have found themselves passing through its doors. Some of them – including vice-president Amado Boudou and Julio De Vido, the powerful Federal Planning minister from 2003 to 2015 — have been arrested on corruption and embezzlement charges. Many of the cases that have brought these figures before the courts had laid dormant for years, however. So why are they only picking up speed now? With arrest orders against officials and figures linked to former president Cristina Fernández de Kirchner being issued by the dozens, the obvious question emerges: is the Judiciary only rolling into gear because of the new political winds of Argentina? 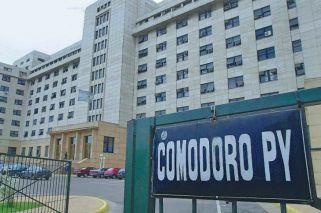 “The Comodoro Py courthouse has always moved against officials who had already left their posts,” Natalia Volosin, a J.S.D. candidate at Yale Law School, told the Buenos Aires Times. “They do so because they lack institutional incentives to act otherwise.” Volosin sees problems in the system that sparks such actions. “The way judges and prosecutors are appointed, the way they’re removed from their posts, the lack of real-time control — none of this encourages them to investigate powerful politicians and business leaders,” she said. At the moment, there are almost no open cases against officials of the ruling Cambiemos (Let’s Change) coalition. In April, Federal Judge Sebastián Casanello closed the money-laundering investigation derived from the Panama Papers revelations into President Mauricio Macri. A month later, an appeals court cleared the head of the Federal Intelligence Agency (AFI), Gustavo Arribas, from all charges after he was accused of having received some US$600,000 via middlemen linked to the disgraced Brazilian construction firm Odebrecht. A study by fact-check website Chequeado, based on 59 corruption cases involving government officials who served from 1995 to 2016, revealed that almost 60 percent had been indicted or sentenced. But in an overwhelming majority of cases (91 percent), a sentence was imposed only after the official has left his position. The report was based on informationby the Centre for Judicial Information (CIJ) and the Civil Association for Equality and Justice (ACIJ). The latter last year launched an “Observatory for Corruption Cases” that helps to point out the “lack of progress in the Judiciary” regarding cases of misconduct and fraud. Fernando Bracaccini, who coordinates the Strengthening of Democratic Institutions area at ACIJ, said there is evidence of “collusion between political power and federal judges,” a relationship mediated by the shadowy world of the intelligence services. Gustavo Arballo, a constitutional law professor at the University of La Pampa, told the Times that judges are not always to blame for this situation. “Judges can only move forward once they receive a complaint or that evidence shows up, and sometimes these accusations appear only once the person has stepped down from office,” he said. But even when a magistrate is undoubtedly acting to adapt to the new political landscape, one needs to determine which kind of “error” is it. Of course, it is possible that both mistakes can be present at the same time: deliberate delays in order not to take on a powerful government, followed by overreactions to make up for those omissions. “In this sense, today’s hyperactivity can be the consequence of yesterday’s inaction,” he added. His definition seems like an accurate description of how Comodoro Py works. A prime example is what happened with Boudou: the case against him was opened in 2012, but there were no major developments over five years until this month Judge Ariel Lijo suddenly decided the former official was a flight risk and ordered his arrest. That same week, the conservative City Bar Association (CACBA) had accused Lijo of “excessive delays” in his cases. A second issue, as important as the first, has to do with the fact that while several former Kirchnerite officials are being arrested for corruption, little is being said about the business people who bribed them. “There are tools set by law to take action against corrupt companies but they are not taken into account,” Volosin points out. Arballo concedes that the private sector’s motivations for corruption is under less scrutiny and that the question of who paid for the bribes is often left unanswered. But he finds structural reasons that help to explain the fixation on the officials accused of wrongdoing. There are cases, however, in which businessmen have sat in the dock or were sentenced to prison (apart from the case of public works tycoon Lázaro Báez, a staunch Kirchnerite). In late 2015, Claudio Cirigliano, the businessman who used to run the concession for Trenes de Buenos Aires (TBA), was sentenced to nine years in jail in the trial for the 2012 Once railway station tragedy that killed 50 people and a pregnant woman. Last month, Roberto Dromi, a former Carlos Menem-era official, was called in for questioning for his role as business consultant in a case that investigates illegal maneouvres for the importing of natural gas. Also this year, executives of Brazilian giants Odebrecht and Camargo Correa as well as representatives of Argentine construction firms Roggio, Esuco, Supercemento and Cartellone Construcciones were called to give testimony before Judge Casanello in a fraud case involving the expansion of a water treatment plant and the construction of a water purifying plant in Greater Buenos Aires. 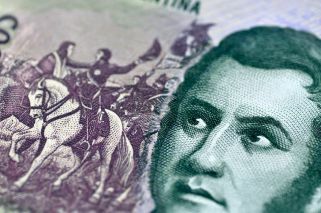 The scandal is one of the reverberations from the Lava Jato investigation that began in Brazil, where the rewards for whistleblowing include sharply reduced the prison sentences for businessmen. Last year, the Argentine Congress approved a law which allows a sentence reduction negotiated by the prosecutor with the “repentant” individual in exchange for relevant information regarding corruption cases. While the “repentant” figure already existed in some statutes for a few crimes, the law — a nod to the OECD, which the country wants to join — made it a part of the Criminal Code and extended it to corruption related offences such as bribery. Since its entry into force is still very recent, the value of this law is yet to be seen. Be that as it may, the system still needs a reform. “It’s not that we have bad judges and prosecutors. The problem is that under this model, not even the independence of ‘honest’ magistrates is guaranteed,” Volosin concluded. 10Saskia Sassen: "Many of the spaces we believe to be public are privately owned"